The Madurai temple complex in itself is breathtaking, given the fort like walls pierced with lofty towers, surrounding an area of about 640000 square feet. The Aadi, Chittirai and the Maasi, and Veli streets surround the temple. The towers, or the gopurams for which this temple is known, are visible from a distance. 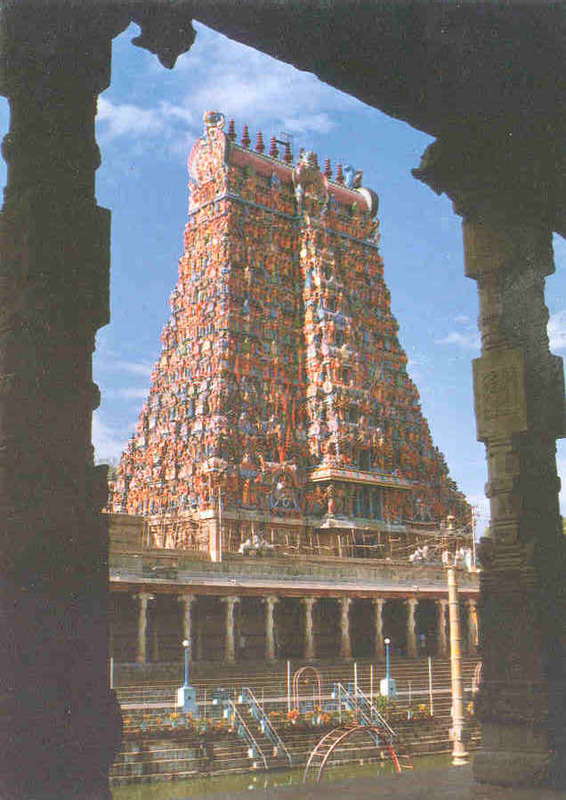 No less than 12 gopurams or towers adorn this temple and the 4 outer ones tower to a height of over 160 feet. There is a large tank  the Potraamaraikkulam within the temple complex. The thousand pillared hall within the temple complex is also of great importance; its pillars feature sculptural work beyond compare. The panoramic spectacle of the temple immediately sinks in - upon entering the templeThe spectacular Potraamaraikkulam Temple tank, is surrounded corridors depicting murals of the Tiruvilayadal puranam. Meenakshis shrine is located to the southwest of Sundareswarars shrine; the north east position being that of dominance, architecturally, the shrine to Sundareswarar shows this dominance. The Koodalazhagar temple is also located to the Southwest of the Sundareswarar temple, thus reflecting the importance of the Sundareswarar temple. Both the Meenakshi shrine and the Sundareswarar shrine are huge temples in themselves with their own sets of 2 prakarams mahamandapams and gold plated vimanams. 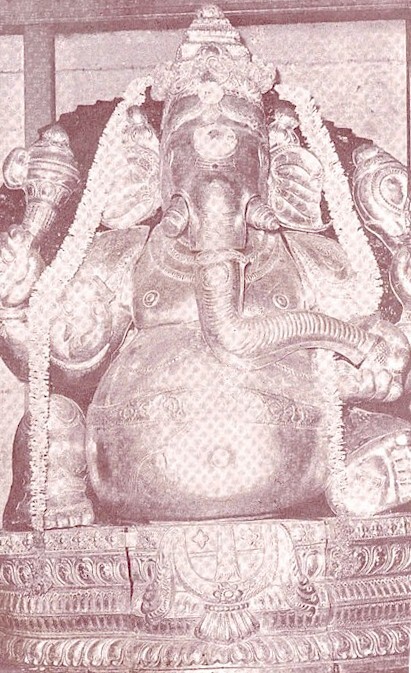 Here is also seen the Mukkuruni Vinayakar shrine, with a collossal image of Ganesha. The Sundareswarar temple alone has 5 gopurams  four 5 tiered ones on its outer walls and a single three tiered one adorning the entrance to the inner prakaram. This tower is said to be an ancient structure.Crowning the sanctum is the Indra Vimaanam. Also seen here are several images of the manifestations of Shiva, as seen in the Tiruvilayadal Puranam. Within the Sundareswarar temple complex is a shrine to Nataraja  the Rajata Sabha or the Velliambalam. Meenakshis image is made of green stone. The eastern entrance to shrine houses a 13th century gopuram. 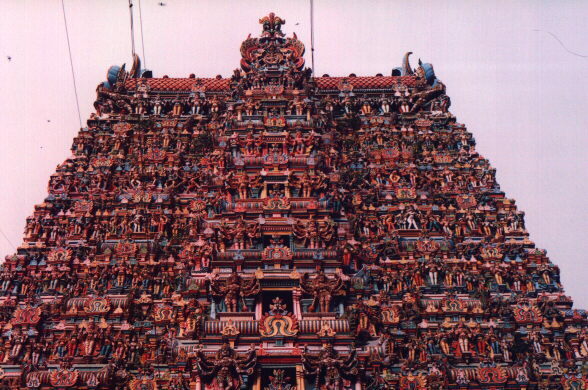 A 5 tiered gopuram adorns the Western entrance to the Amman temple complex. At every entrance along the axis of the shrine are shrines to Vinayakar and Subramanyar. Surrounding the Shiva and Meenakshi temples is a huge prakaram with imposing 9 tiered gopurams, in each of the 4 cardinal directions. The tallest of these is the southern tower, rising to a height of 170 feet. There are thus a total of 12 gopurams, two gold plated vimaanams (crowning the sancta) and several mandapams with carved pillars within the Meenakshi Sundareswarar temple complex.